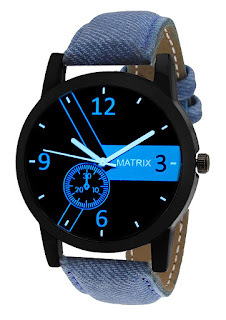 Matrix casual collection wrist watch with a high style quotient. It's remarkable round dial encased in a protective stainless steel metal bezel ensures durability. A classic combination of style, quality and craftsmanship, this Matrix men's leather watch is a must have for your wardrobe.